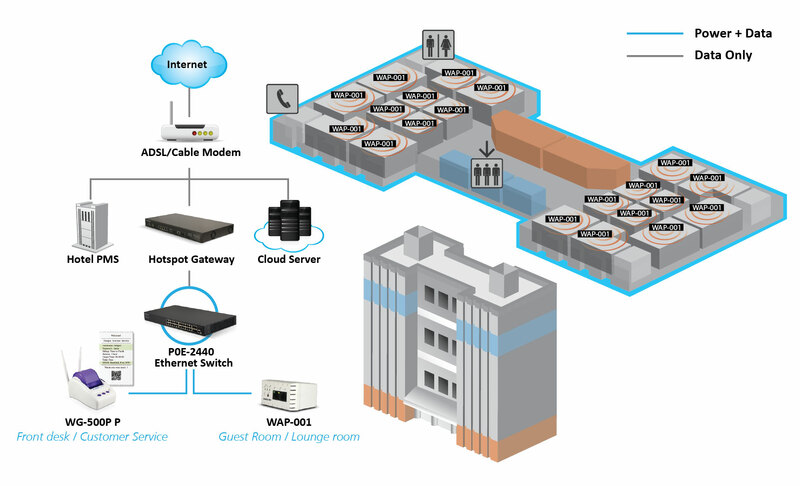 The WAP-001 In Wall Box Access Point, is designed as 300Mbps Internet access for Hotel / MDU System Integrator to provide wired / wireless network and telephone service 3 in one design. It offers tenants and guests secure internet access and phone line connection in rooms and lobby. 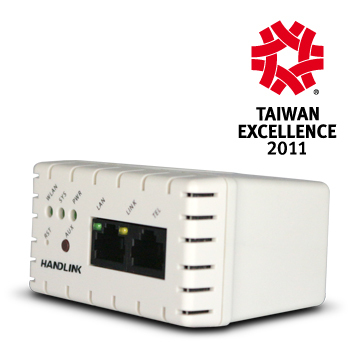 There is no need of additional wire for WAP-001, applied with existing network and lowest energy usage.It is a green technology product and awarded for Taiwan Excellence Awards 2011. The WAP-001s’ can avoid channels conflict when tenants and guests connect to the Internet as its lowest RF output adjustable to match every room. With a practical, thoughtful, and compact design, it has 3 levels of adjustment with retractable screws to fit any wall jack suitable for stylish hotels, luxury houses and MDUs (Multi-Dwelling Units). 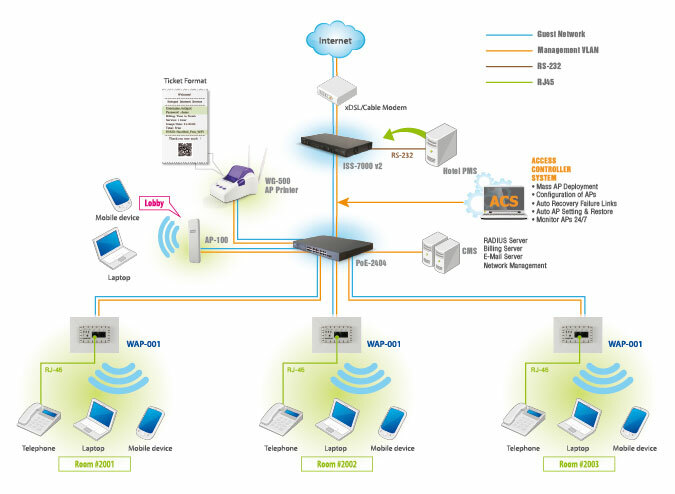 The WAP-001 In Wall Box Access Point can be deployed by systems integrator simply to connect with PoE switch via ISS-7000 V2 Internet Subscriber Server that can upgrade the function into proprietary AAA (authentication, authorization, and accounting) Service. Enables the wireless applications with multiple ESSID setting for different Internet users to improve Internet security protection in public areas. With retractable screws to fit any wall jack for stylish hotel, luxuryhouse and MDU. It doesn’t need to pull new wirings for WiFi Internet installation, reuse the existing network infrastructure and energy saving. A Must-have Gadget for Hotel WiFi! 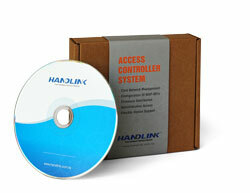 Handlink ACS (Access Controller System Software) made mass APs deployment simple and easy. ACS offers group setting such as IP address and ESSID. ACS makes data maintenance or modification easier, so that IT staff does not to configure WAP-001 one by one in all rooms. The ACS automatically monitors the status of each WAP-001 24/7. 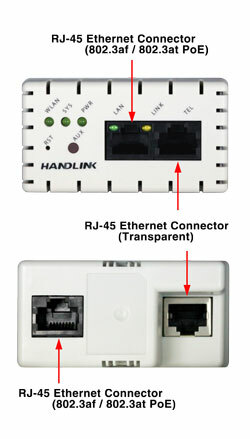 Furthermore, when any WAP-001 is detected offline in the setting time interval, the ACS will automatically recover the connection. In short, ACS has many more features such as auto recovering and restoration which is ideal for hospitality application. 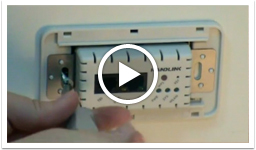 Provide VLAN ID to secure guest Internet access! 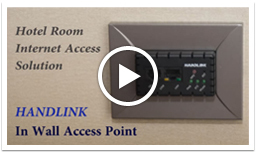 Handlink PoE switch series can be set up different VLAN ID for guests in different rooms and secure guests information from neighboring strangers’ interference.